The gift tin has a diameter of about 10 inches and a height of about 2 inches. This was a gift and I understand the fruit is good and response was very good. I found this product to be from Heaven. Ultimately delicious and, at the same time, nutritious. Heavenly! I tried them for the first time this Christmas and have already sent them as gifts to others. This is a nice alternative to sending flowers on special occasions. Great taste, fresh, beautifully packaged! This is the second time that I've sent these to my aunt for Christmas. She can't rave enough about them. Say's they're the best I've ever sent and I've been sending her apricots for years. This is the second time I've ordered this item and they've been great. They are plump and perfect. We opened the tin to try them, and now we can't leave them alone !! Seriously, if anyone is thinking of ordering these, not only would I highly recommend it, but you better get two, or you WILL be sorry. They are huge, plump, tender, sticky, sweet, and addictive. We can't get over the size of them!! Now I'm going to have to order more, because they are almost gone! Never had any this good, so happy we ordered from you. I ordered these for my inlaws. I needed them ASAP and delivery was prompt. My inlaws loved them. I tasted one as well and it was great! I was very satisfied with the product and service. Would definitely order again. This is the second year I have bought these apricots for my brother in law's Christmas present. He loves them. I'll be buying them every year. Thank you for making such a special treat. I was thrilled to find these on line. I get these for my Mom every year for Mothers Day. It was tough this year after driving 80 something miles to a well know culinary store in the mall to be told they no longer carried them, so I settled for something else. But thanks to you folks I found you, and she got them for her 82 Biorthday on June 9th. Now I'm looking forward to getting Dad a Nut Gift soon! I've been buying from Superior Nut for a few years now. It's a great place to buy gifts for friends and family. Good quality and fast shipping. I used to buy these glazed apricots (for my wife) at Williams & Sonoma, and was very happy to find these - same great quality at a much lower price. I have had other glazed apricots. These are the bestI have ever tasted. I bought 2 as Christmas gifts for my in-laws. They called a few weeks later asking me where I bought because they already finished it. My husband loves them too! Delicious and quick and free shipping! The apricots didn't look nicely presented like it was in the picture. However they tasted divine!! My sister said they were the best apricots she had ever had. I use to buy them at Neiman Marcus until they became assholes. They were gifts and everyone enjoyed them. Excellent quality, better than those ordered from Neiman Marcus in the past. Glazed apricots at Christmas from Nieman Marcus are delicious but seasonal & expensive. Harry & David�s were good & not quite as expensive as Nieman Marcus. 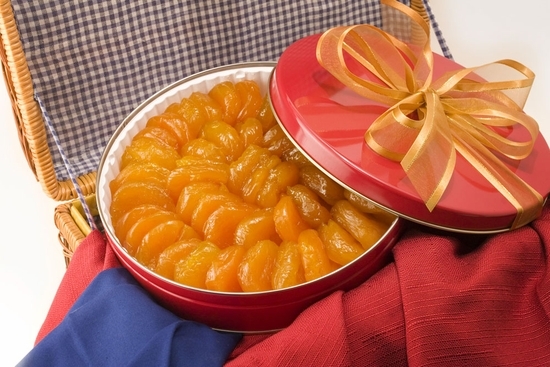 Superior Nut�s glazed apricots are as good as NM, much less expensive & available year-round. I was pleased to find this site online and to be able to order the glaced apricots, as I had ordered them from Nieman Marcus in the past and paid 20% more.